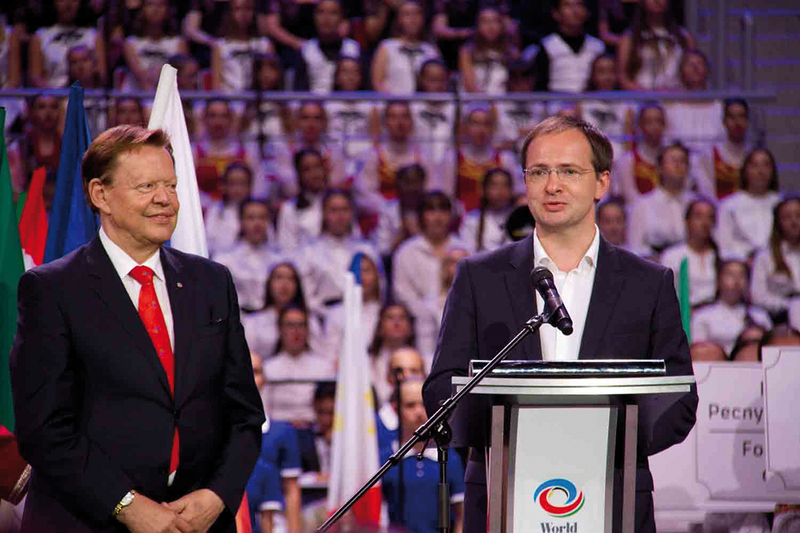 In 2016 the 9th World Choir Games were held in the world’s largest country: in Russia. The 2014 Winter Olympic City of Sochi welcomed 283 choirs and 12,000 participants from all over the world to the Olympic Park and to the city. During an 11-day journey through the global scene of choral music, participants and spectators had the chance to experience choral music at its best in all genres. Against the marvellous background of the Black Sea, participants performed in thrilling competitions, high-spirited Friendship Concerts and top-class Celebration Concerts. In a time of global political challenges, the 9th World Choir Games were an important platform of intercultural exchange, a unifying power between all peoples and a symbol of peace for all countries on earth. INTERKULTUR organized the World Choir Games 2016 in close cooperation with the ministry of culture of the Russian Federation, the region of Krasnodar and the city of Sochi. The traditional Parade of Nations through the city of Sochi as well as the Festival Stage Choir with around 1500 singers from six different nations were among the highlights of the World Choir Games 2016. All in all 106 competition concerts and celebration concerts took place during the event and singers proved their choral skills in a total of 450 competition performances. The massed choirs’ performance of the programme “Choral Fireworks – Spirit of the World” was indeed a musical trip around the world. It included traditional and well-known folk songs from all over the world like “La cucaracha” from Mexico, “Indodana” from South Africa, “Kalinka” from Russia and the traditional gospel hymn “Oh when the Saints go Marching in”. The final song was like a symbol of the whole event: Michael Jackson’s world famous pop anthem “We are the world” sung by this international massed choir and soloists of different origin. A moment to cause a shiver in all 12,000 spectators from all over the globe. 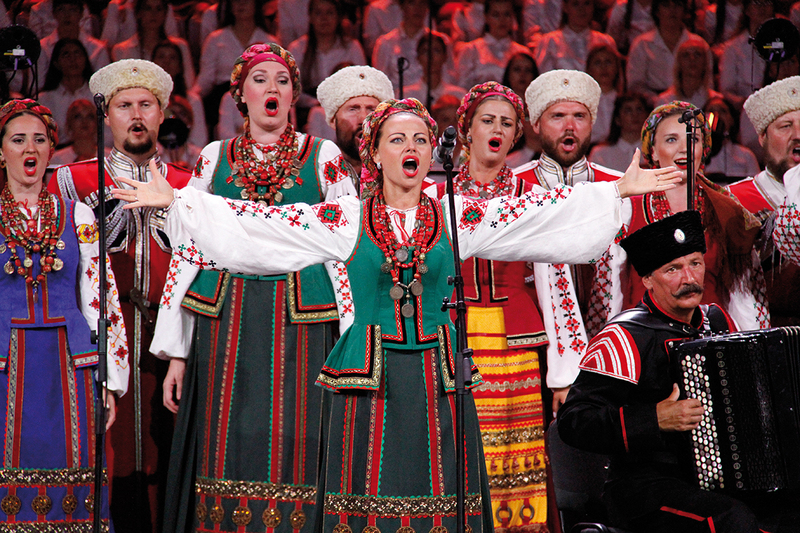 In Sochi the choirs competed in 29 different competition categories and presented a wide range of choral music. The musical skills were evaluated by an international jury from all over the world, amongst others by David Slater. He was Director of Music in elite schools in Australia for over 35 years. 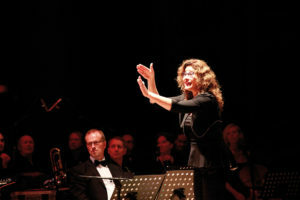 Slater is a composer, conductor and music educator who regularly works in many parts of the world, including now at the World Choir Games in Sochi. “Sochi was my first World Choir Games. The scale of the event appeared daunting, the number of choirs enormous and the complexities of organisation unbelievable. But any apprehension was soon dismissed,” said Slater. 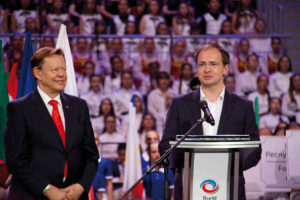 “Of course, the competitions and concerts were the main reason for the festival, but while sporting competitions are becoming less about participation and more about personal glory at any cost, the competitions of the World Choir Games demonstrated the great spirit of unity, joy and collaboration which comes through music. Performing wonderful music for other people, whether winning gold or not, was clearly the objective of the hundreds of choirs present. And they were an absolutely amazing array of choirs from all over the world, so dedicated, well prepared and singing music of every conceivable style and genre. In addition to the competitions the choirs also had the chance to attend workshops, which were focused on different topics and countries. “The workshops were a great opportunity to gain insights into the choral music, traditions and approaches in other parts of the world, and the coaching sessions gave conductors and choirs an opportunity to share technical and interpretative ideas which crossed borders and languages,” said David Slater, who also gives masterclasses and workshops in different parts of the world. On July 16 the last Medals and Diplomas were awarded in an emotional and atmospheric awards ceremony. The champions of the World Choir Games 2016 were paid due tribute for their performances. Best choir in the competition was once again the Stellenbosch University Choir from South Africa (conducted by André van der Merwe) which achieved the brilliant result of 98.25 points in the category “Musica Contemporanea”. They are further triple champions, also winning the categories “Spiritual” and “Musica sacra a cappella”. All in all the international jury awarded 4 Bronze, 86 Silver and 116 Gold Medals in the champions competition of the World Choir Games 2016. In the open competition a total of 9 Bronze, 80 Silver and 62 Gold Diplomas were given to the participating choirs. The top Medal Winners of the World Choir Games 2016 are Russia with 88 and China with 56 medals. They are followed by South Africa (7 medals), Indonesia (6) and Nigeria (6). Another big highlight of the World Choir Games 2016 was the festive closing ceremony that once again united all participating nations when they marched into the Bolshoy Ice Dome, and as the five strokes of the World Choir Games bell rang out, these sounds were symbolically sent to the 5 continents to fill the Olympic idea of the World Choir Games with life and make it grow all over the world. “It is with great joy that I look back on the 9th World Choir Games which ended just 6 weeks ago. All that was achieved there will continue to influence the lives of all the choirs and individuals who participated in the best possible way, so it is with great anticipation that I look forward to the 10th Games in South Africa,” David Slater concluded. The flag of the World Choir Games was taken down and handed over to the next host city, Tshwane in South Africa, where the choirs of the world will meet again in 2018.